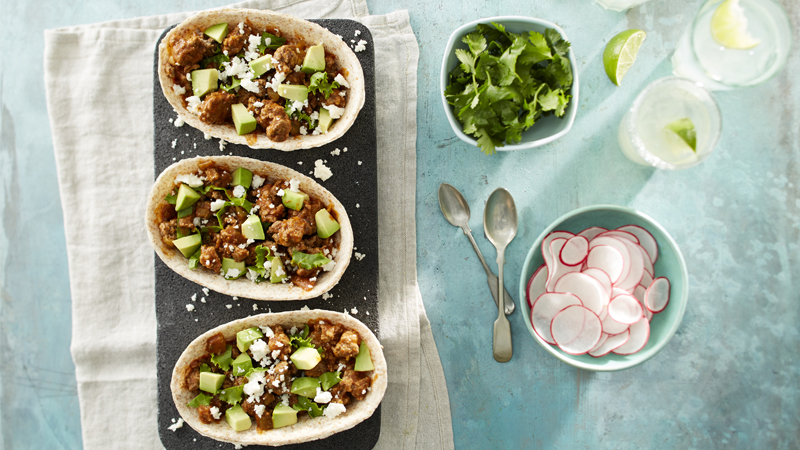 The smooth creaminess of avocado works so well with the flavourful beef in this quick and easy weeknight dinner. 1. Heat the oil in a large non-stick frying pan over a medium-high heat and cook the beef for 10 minutes, stirring. Stir in the chilli and taco seasoning mix and continue to cook for 2 minutes before pouring in the water. Cook for a further 2 minutes, until everything is combined and thickened. 2. Heat the tortillas to pack instructions then fill with the beef mixture, lettuce, avocado and cheese. Serve with coriander and sliced radish. These tacos would be delicious served with salsa and jalapeños. 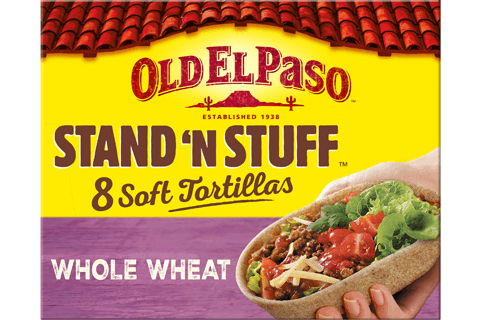 Give an extra crunch to these tacos by breaking Old El Paso™ Original Nachips over the top.